Steve Roberts isn’t your typical soccer coach. Yes, he has a UEFA B category coaching license, but instead of working full time as a soccer coach, he makes YouTube videos for a living. He’s a pioneer of the YouTube football tutorial movement, and as such, he owns one of the biggest football channels on the internet, STR Skill School. 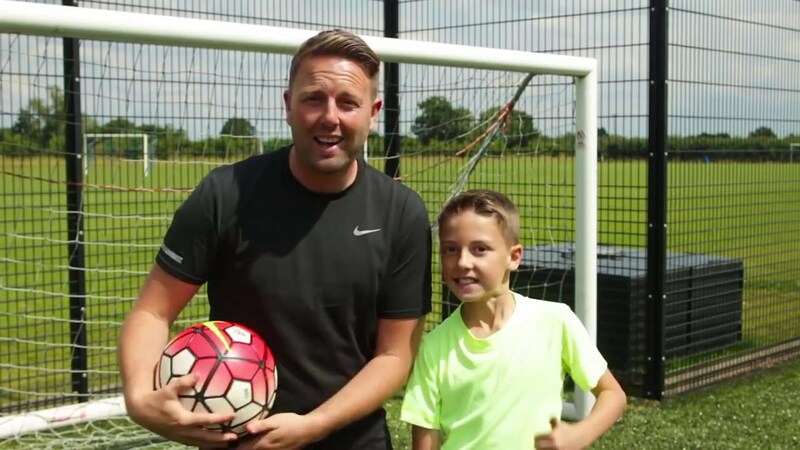 Roberts has appeared in videos alongside some of soccer’s biggest stars as well as many street football legends, but some of his coolest videos are with his 12-year-old son Leo, nicknamed Little STR (Roberts is STR). We recently caught up with both of them to ask about their success and their future plans. Urban Pitch: You have over 1.3 million YouTube subscribers, one of the biggest football channels online. How did you initially get into making these videos, and did you ever expect it would become so popular? STR: I was a football coach and found there wasn’t anything skill related that players could learn from. I was the first to make a quick learnable format and gain an international audience. There is a bit more to it than that but what I was doing was helping people and I was the first. What were you doing before STR? Full-time football coach. I had my own coaching company. I’m UEFA B qualified, which is a good standard. Among the many places you’ve traveled and people you’ve met filming your videos, do you have a favorite city, and a favorite memory? I have many great moments and special memories. The World Cup in Brazil was very cool. But the people also make the experiences better. The video in London with Andrew Henderson and the next with Séan Garnier were big moments for all of us. Then I have places like Amsterdam and Barcelona that are great cities and love going back to. Amsterdam, hanging with street legends, and Barcelona, spending 3 days with Cafu and having time with Neymar, was pretty special. A lot of football entrepreneurs are looking to build their brand online. 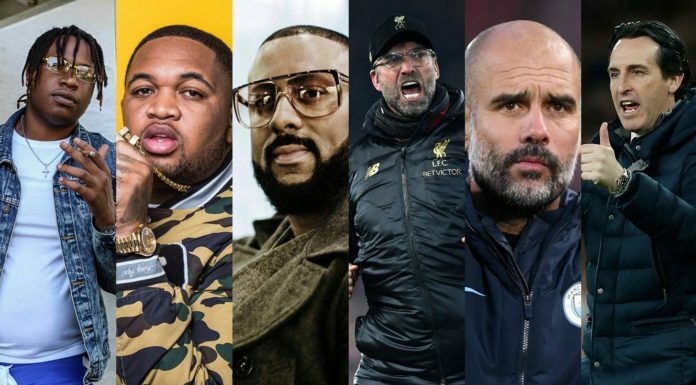 What’s your advice to them for creating a successful business that combines media and football? Be genuine, give someone different to the audience, and collaborate with good people. You can’t do it on your own. Your son, Leo, is a big part of STR, and you both look like you’re having a ton of fun all the time. What’s it like to have your son involved in this project? We have lots of fun. Before, when I was travelling loads, I wanted to bring him but I couldn’t. Just to share the experiences. But now he’s older and he loves YouTube. It’s amazing I can now share it with him where he understands what it’s all about. He does me proud on shoots and leaves a great impression on people around him. We certainly should do more. Would you say he’s better than you were when you were his age? It’s a funny question as I was talking to him about this yesterday. We were quite similar as players but I am mainly right footed and he is left. I told him I was better because I was a more confident footballer and I could shoot better. But believe me he is a very special talent. He mixes street football on the pitch to give something different. And is a very intelligent footballer. He makes very good decisions on the pitch. His passing is incredible, first touch is breathtaking and he rarely gets beaten. His tackling and defending is extra special. So the short answer is we were about the same at this age but the way he is progressing (with my coaching!) he will be way better than I was. You recently got to play at Wembley in the 2016 Wembley Cup, how was that experience? Now this was one of the best experiences of my life. To play in front of 20,000 people under the floodlights of my national stadium was crazy. I always wanted to be a football player, so this was the closest thing I could ever get to the full experience. Especially as the crowd was screaming for mainly the YouTubers and not the football legends. For me to be on the pitch with them was very cool. And I think it was really the start of something different in the football world. producing new original content on a regular basis. For that, you need a team and money. I have the ideas, but budgets or no funding hold you back. Also knowing who to trust. Lots of people take advantage of you when you do well. But there are great people around so not all bad. What are your hopes and goals for STR in the future? Lots of things. For the last 2 years I’ve had the ideas. I want to test my creativity. Make a documentary and short films that have value to the audience. Help Leo progress in football, be a good dad, and continue to make an impact on players all over the world with social media. Urban Pitch: Where are you and your dad from, and how old are you? 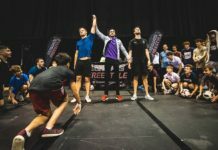 So how did you first start learning football moves? I first started learning football moves from my dad. Then I started copying moves from YouTube, mainly the street football players. It depends on the day, as homework and other things get in the way. I would say about two hours a day, and I watch a lot of videos to get ideas as Dad says you can learn by just watching. Whose idea was it to start including you in the videos? It was my Dad’s. He started LittleSTRs as it would appeal more to a younger audience. But now I enjoy making them. I wish he would make more. It seems like you and your dad have a lot of fun together. What’s it like to be part of these videos with him? It is a nice experience because I practice as I film and I get to play football more. And we have a laugh while we are doing it. Do you ever get nervous being on camera? At first I did, as when I thought about it I knew there are a lot of people on the other side of the camera lens when I’m talking. So I didn’t want to get anything wrong. But I know now it can be edited. I prefer stuff that’s not scripted, like the unboxing videos. What’s your favorite video you’ve appeared in? But I like all of them. Public nutmegs, Nike video and the one with Rooney were all fun videos. Will there be another 1v1 Panna Challenge Video? The first two were so epic! Yesss, I want a rematch! What’s your go-to move, and why? The panna where I drag back and panna with the outside of my foot. Can’t remember the name. But it always works on the court or on the field. 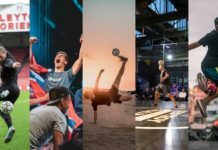 Do you have plans to become a professional street footballer in the future? My personal goal is to become a professional footballer but if it doesn’t go to plan I will look at street football as a next step. That and taking over my dad’s channel! Favorite soccer team? Favorite player? My favorite team is Manchester United, and my favorite player is Neymar. It was Messi for a long time, but I like Neymar’s style. If you got to meet any footballer in the world today, who would it be? Neymar! But I won’t let him panna me like my dad!! Are you famous and recognized at school now? Yes, but I don’t get asked for selfies. It’s crazy that people want selfies and autographs at football events when I’m with my dad. 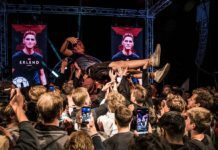 How do you like being an online star? I like it, I’m not very big, but it’s nice getting recognition in public. What’s the most important thing your dad has taught you so far? How to beat a defender, without that I couldn’t take on a whole team. Be confident, believe in myself and if I can’t do something, keep trying and never give up.